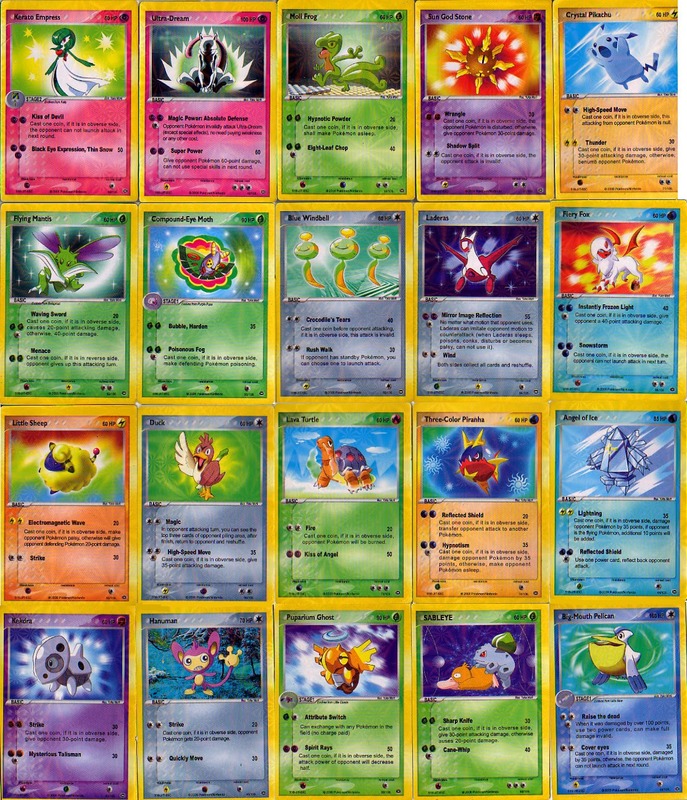 Pokemon cards are very popular to most collectors and people that are trying to make money from them. But one thing anyone buying Pokemon cards needs to watch out for is people trying to sell fakes or scam. I've talked about certain scams such as the ones associated with first edition Pokemon cards but there are other ways people try to scam cards. So today I will explain some of the other ways that people will try and scam people buying Pokemon cards. One of the most important things to remember when buying Pokemon cards is knowing about the cards in a set. Of course my website has full lists of the names of Pokemon in each set so if you find a card that isn't listed in the set and you check the information about error cards and don't see any name misprints for that specific expansion it might actually be a fake card. Not all fake cards fall under the made up Pokemon name some are actually the correct card but the colors don't look proper. 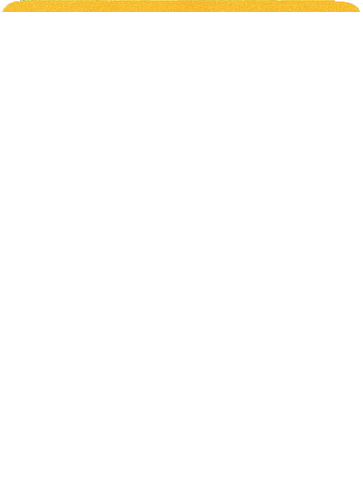 This is usually very noticeable such as looking at the back of a Pokemon card and seeing a purple color instead of a vibrant blue color for the card. Usually the print on the card itself will be blurry or the picture will seem to have lines or bar's. 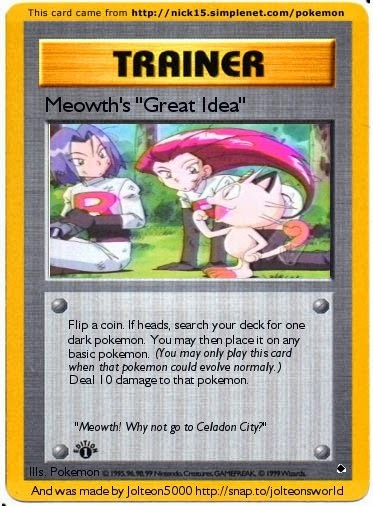 Always make sure that the card has the proper credits in the bottom corner as well cards without credits might have been made online using a Pokemon fake card generator and while most of them will specify on the yellow it was made up photoshop has made it possible to wipe out any tags and attempt to modify the card. You can also spot fakes by how they feel if your actually trading cards in person. 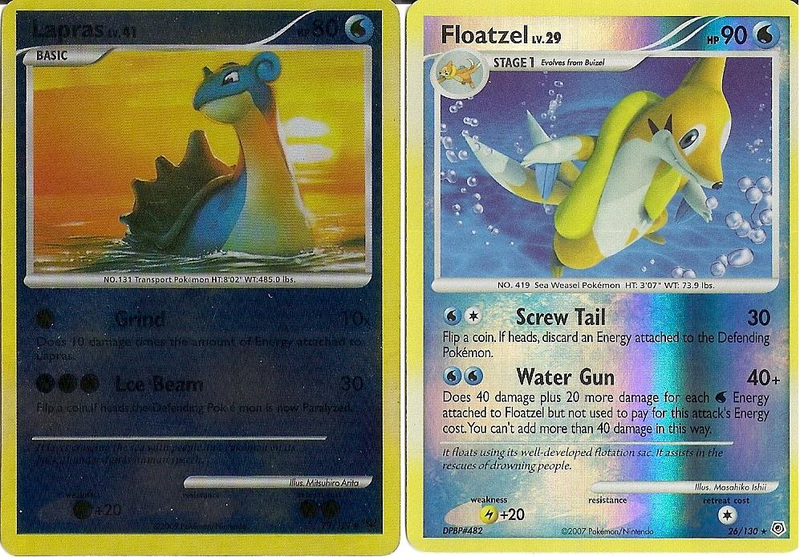 The Pokemon card thickness should feel the same between the other cards you have. Fake Pokemon cards usually are very thin and bend easy. Some are also too shiny and too bright for the original card. Keep an eye on the HP on the Pokemon as well since if you see cards that have more then 400 HP that's usually a sign it could be a fake. You can also check the size of the card by comparing it to another card if the size doesn't match it usually means it's a fake. The text size on fake cards is usually much smaller as well. Another thing to watch out for is people claiming they have misprints for cards which don't have official misprint information. Many of the older base set expansions will be the ones that most people misprint this is usually by trying to off center cards add things which aren't normally on the card to fool people into thinking it's a misprint. Usually if you have a misprint and there's no information about that specific card being an actual misprint at the time of release then it will be another fake Pokemon card scam trying to trick buyers into buying the card and spending money thinking they are picking up some holy grail of unknown errors. If one collector is selling many of these cards that means that they are even more likely to be a scam because the first few series of cards have a much lower print amount then many of the newer cards these have been out of print for years now so the chance that one collector has hundreds or thousands of a misprint no one has ever seen or heard about is not possible. 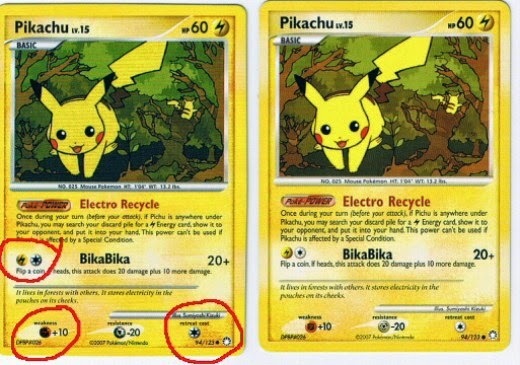 If you want to avoid the chance of buying a fake Pokemon card try to buy cards in packs of course this might not be possible with the base set expansions or the very first expansions but usually if you buy cards that are graded and encapsulated or you really investigate the card well and look up information so you know if there was any real misprints for the specific card you can safe yourself a lot of disappointment in the future.